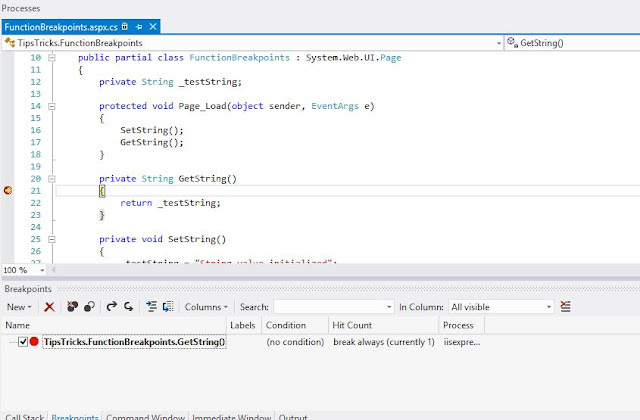 Previously we discussed the concept of Hit Count breakpoints and Conditional breakpoints. 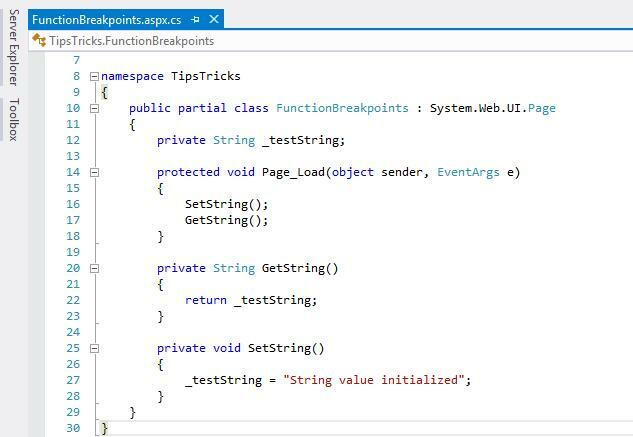 We will now discuss the concept of Function breakpoints. 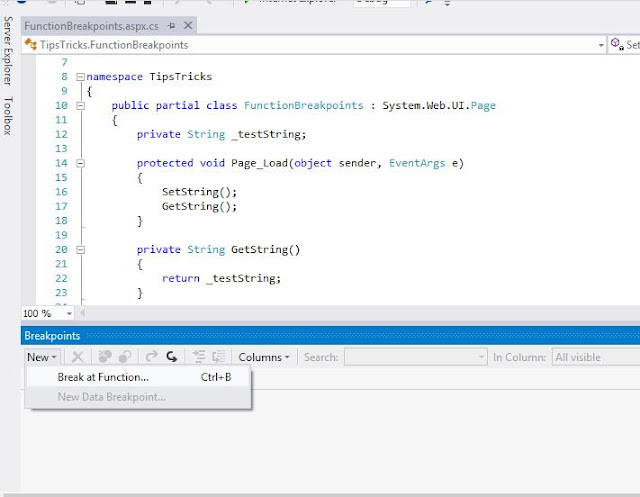 This functionality allows us to set the name of any function as the condition for the breakpoint to hit. 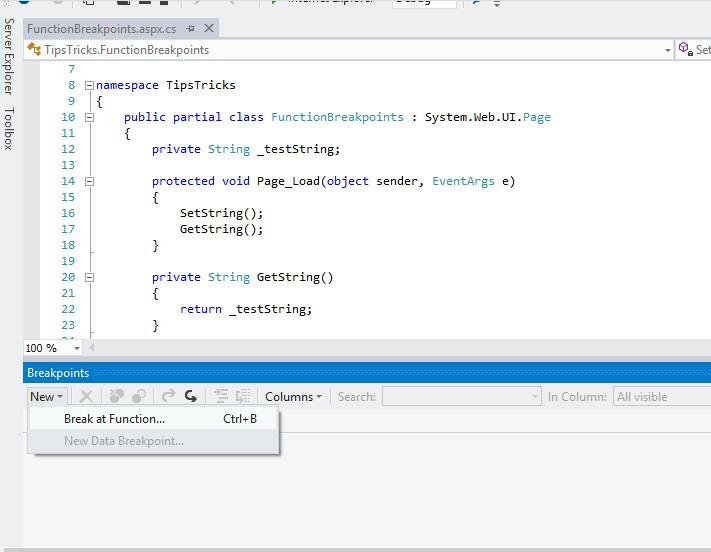 Let's start by creating 2 different functions SetString() and GetString() and call them as SetString() first and then GetString(). 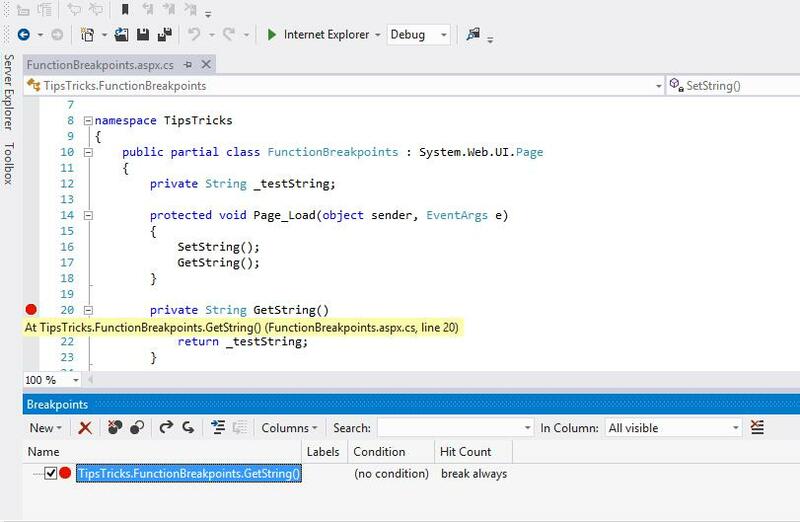 To set the breakpoints for this type, go to Debug -> Windows -> Breakpoints to open the Breakpoints window. Select the option New -> Break at Function option from the window. This open ups a new window and we specify the name of the GetString() function as the function condition for the breakpoint to be hit. 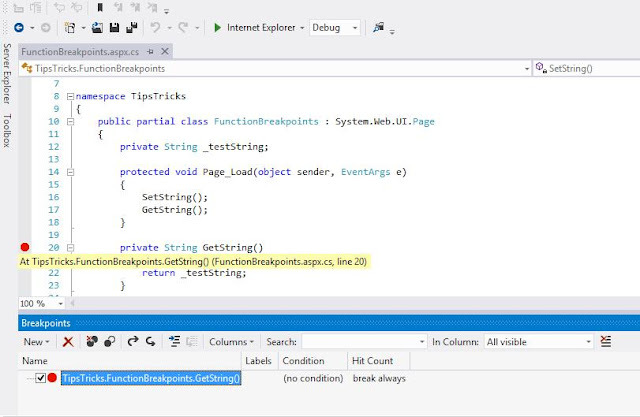 Hover the breakpoint and we can see its details. 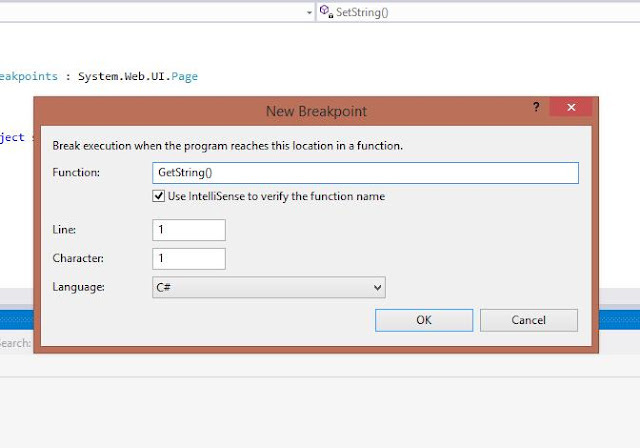 Run the application and breakpoint will get hit only when the execution of the Getstring() function starts. Easy and helpful, isn't it. Happy coding...!! !